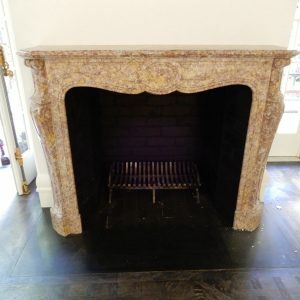 This stunning marble fireplace is from a 1930s period home. 1700mm wide x 1180mm high x 310mm deep. Please note that the hearth is NOT available as it was concreted in. Pick up from the Sell4You warehouse in Moorabbin or we can organise delivery to Melb Metro – please contact us on 03 9555 8804 for a delivery quote.